The NBA All-Star Weekend is one big party. The elites are invited. Those on the fringe aren’t. It’s a weekend where the old heads and the young guns mingle, a brief window when rivalries and petty wars are on ceasefire. It’s mostly fun if you’re into brainless dunkathons. And nice clothes. Remember when Mariah Carey once sang “Hero” wearing a Michael Jordan jersey-dress? Yes, that happened on All-Star Weekend. No, that’s not part of this list. This list is about some of the nice-looking jerseys the All-Stars donned as they turned up the heat (and toned down the defense). This year should’ve been dark. MJ was living his baseball dream as his fans rocked back and forth, staring at his dunk-from-the-freethrow-line poster with blank eyes. But Scottie Pippen had other ideas. At the All-Star Game, wearing a now iconic blue, No. 30 jersey, Pippen dominated with a 29-point performance. The design was so clean that the NBA used it for four straight years. But for its last appearance, Pippen made it special. 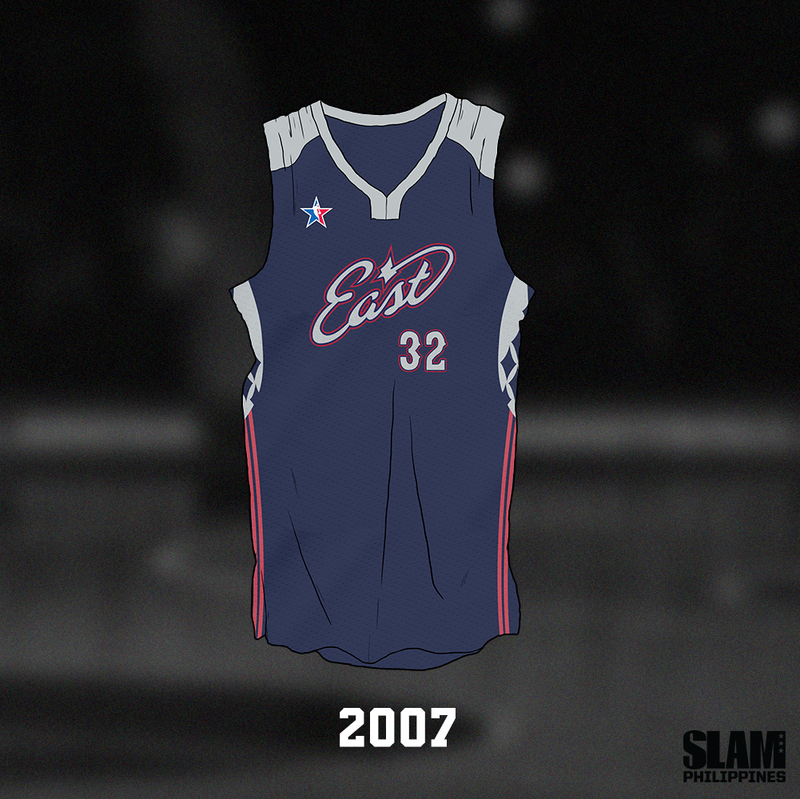 There was a two-year stretch when the All-Star Game jerseys went funky. ‘95 took the first stab at it and what a stab it was. 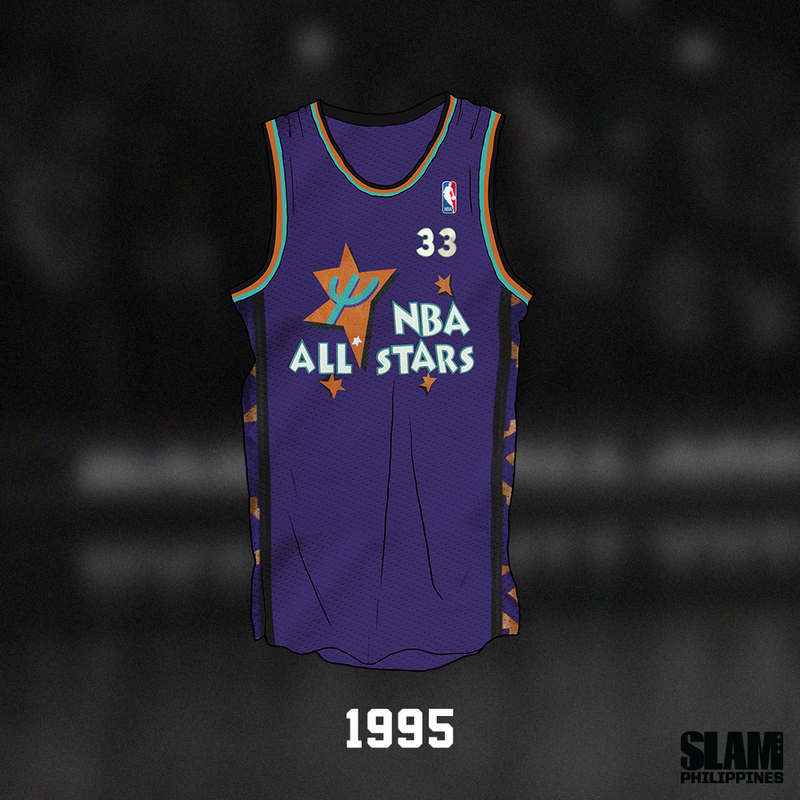 The Suns purple (the game was held in Phoenix), the distorted orange star, the cartoonish cactus are all bold moves in 1995, but looking at it now, in 2019, these just work. Just don’t make Patrick Ewing wear another team’s colors ever again. 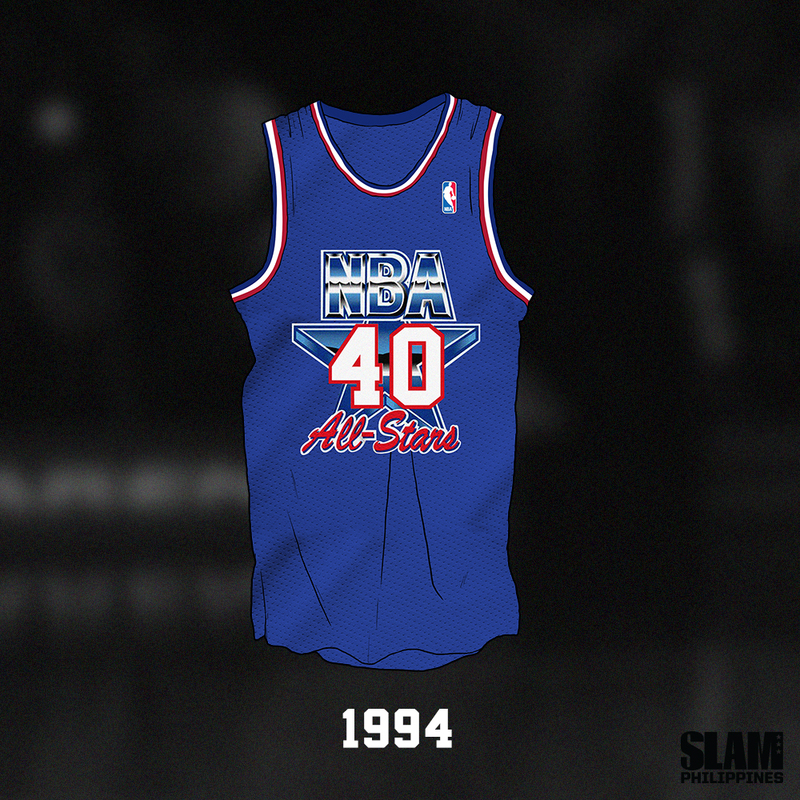 The 1996 All-Star Game Jersey was all about the color. The aqua-blue, teal shade was refreshing. 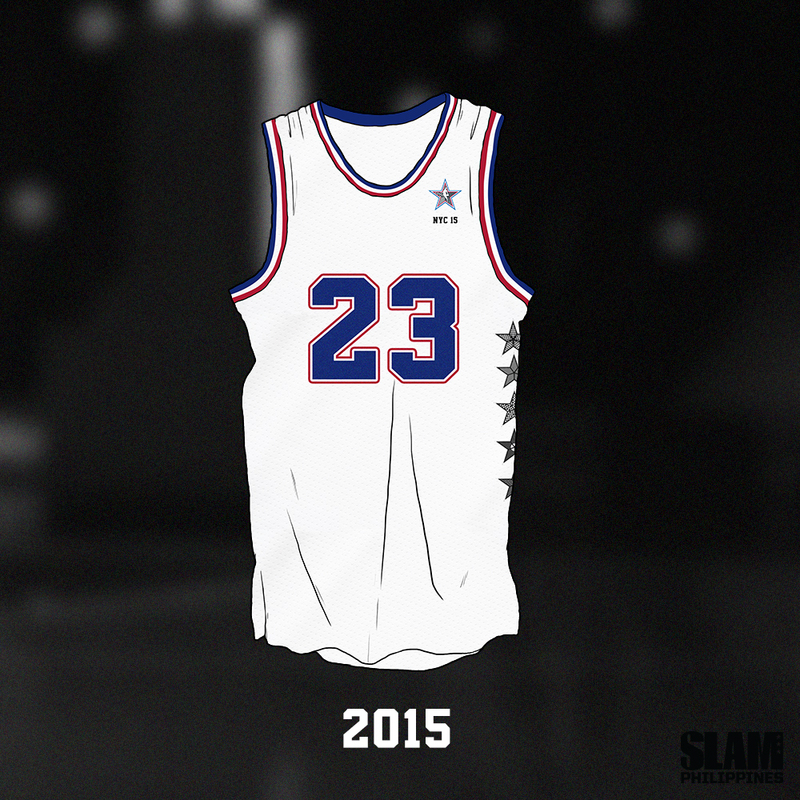 It was also the one that Jordan wore for his comeback All-Star Weekend party, so there’s that. The ‘96 jersey was so outrageously beautiful that you’d forget the front design concept: a chili pepper spinning a basketball. 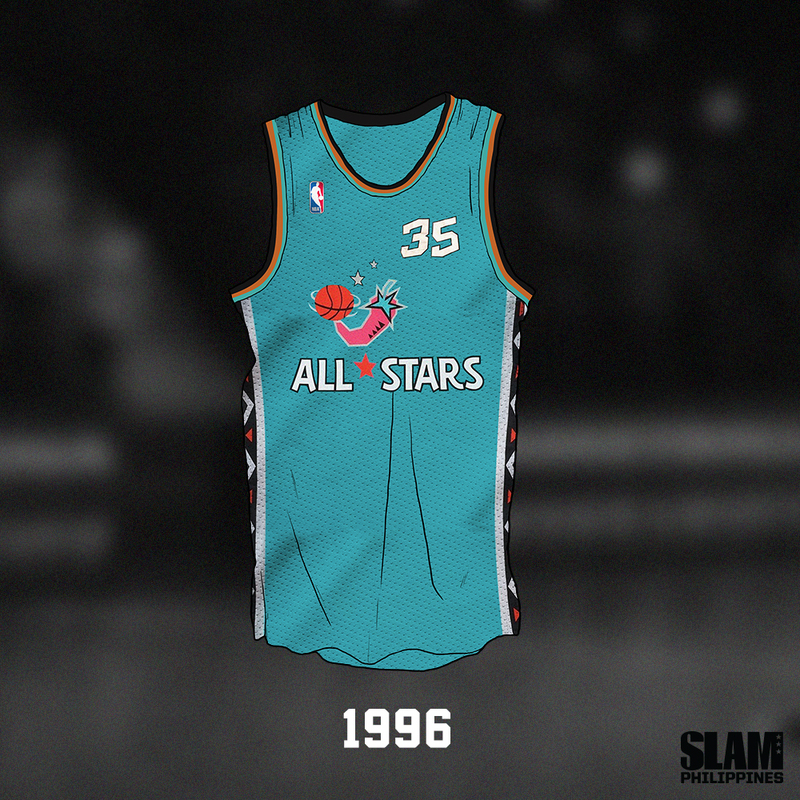 If All-Star Game jerseys are Michael Jackson albums, then ‘96 is most definitely Thriller. 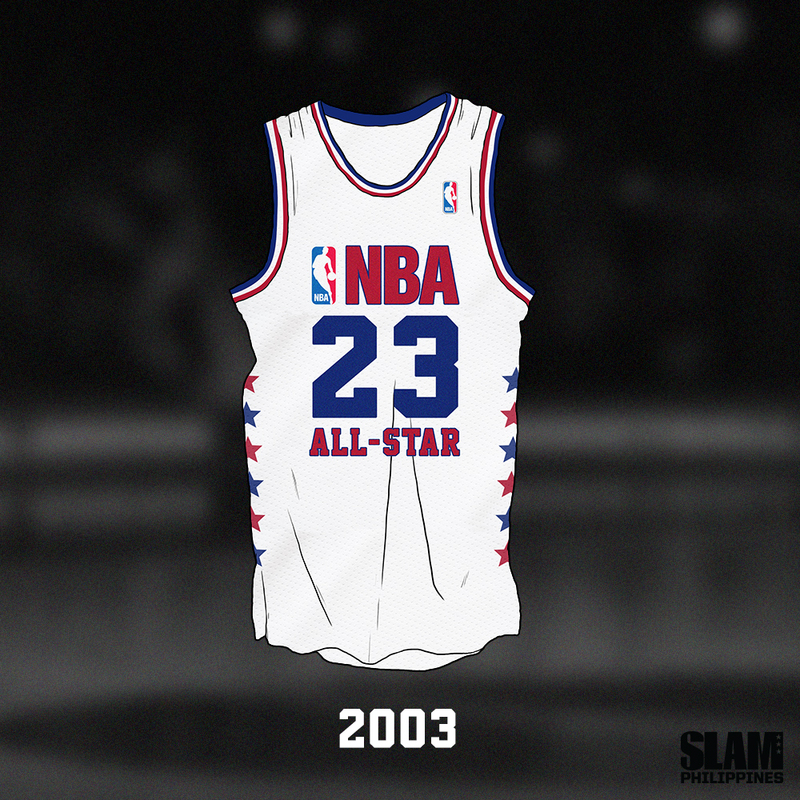 This was how the 2003 All-Star Game, Jordan’s last, was scripted: Bring back the jersey from his first All-Star Game (remember the alleged freeze out?). Get Mariah Carey, in a Jordan dress, serenade him at halftime. Have him shoot the buzzer-beating game-winner. Let Allen Iverson chest bump him for the culture. Jordan gets MVP, gives final All-Star speech, first Crying Jordan sighting, clap, clap, GOAT moment. End scene. Well, Jermaine O’Neal wanted a different ending, and this classic jersey will be remembered for other reasons. From Freeze Out Game to the Jermaine O’Neal Why Foul Game. Basketball can be funny sometimes. The ‘07 jerseys went back to basics and featured a realy clean look—too clean that it could pass as a jersey for an office liga. The simple look gave contrast to the crazy highlights. From tipoff, it was clear that Kobe Bryant wanted the MVP trophy. He got it, thanks to 31 points on 24 shots. A healthy Kobe brought his usual dunk and fadeaway repertoire, all while wearing this underrated design. Another underrated ‘07 All-Star gem: Braided Melo. 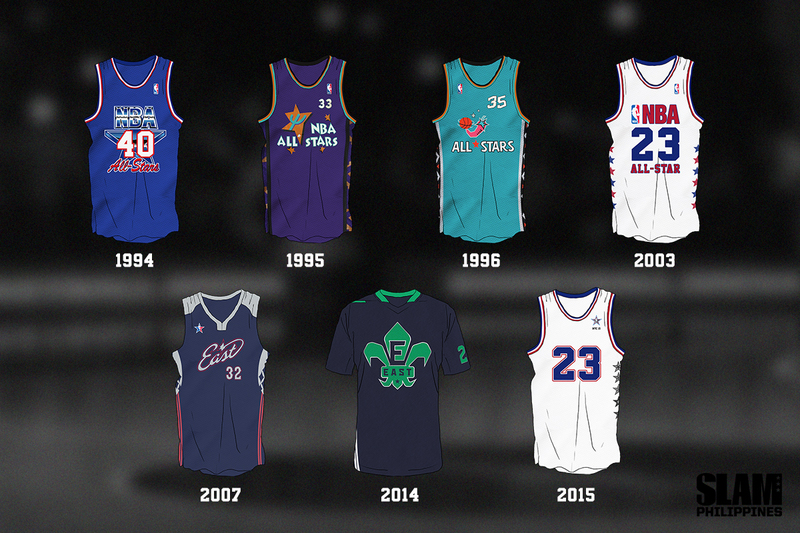 The 2014 All-Star Game marked another bold fashion statement from the NBA. For the first time ever, the All-Stars wore short-sleeved jerseys. There were no sleeve-ripping that happened at the game, so that was good. Concerns were raised (from LeBron James, in particular) that the sleeves may affect their shots. Good thing it didn’t affect his windmill dunks at the All-Star Game. The All-Star Game was held in New York, and instead of going for the obvious subway-inspired design, the jerseys went the opposite. Stripped of everything but the jersey number, a starred NBA logo, and “NYC 15,” the design was an exercise in minimalism. But that’s from a distance. Looking closer and you’ll see intricate details that pay homage to Manhattan (taxi-cab checkered pattern), Brooklyn (brick pattern), and the other three boroughs. 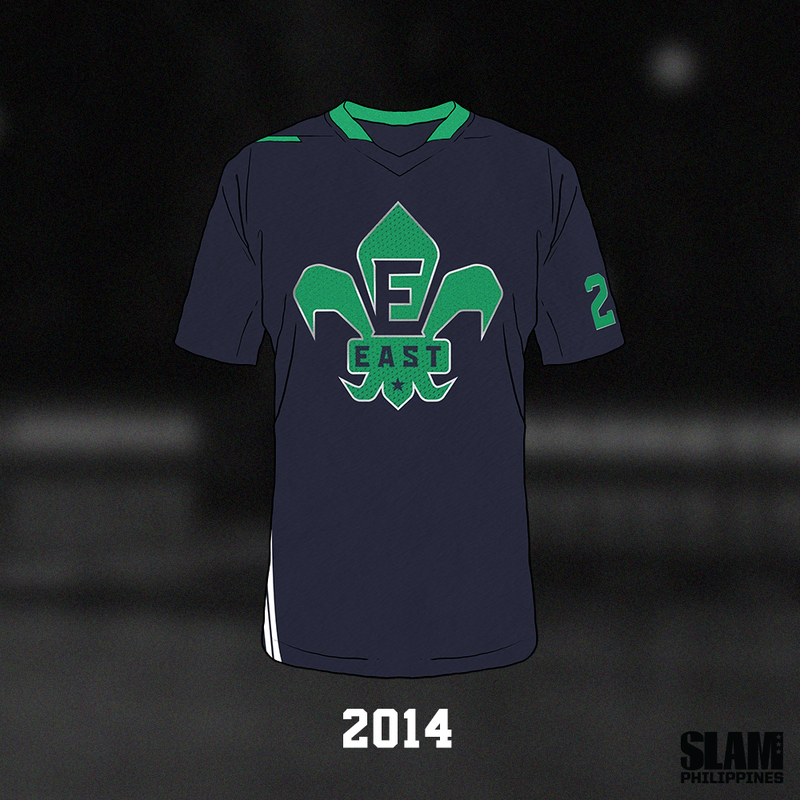 The 2015 jerseys also tried black for the first time, using the Brooklyn Nets’ colors. And also, perhaps, as a nod to the New York Knicks’ overall aura.